I have recently found an interesting research paper. It is almost twenty years old, but it provides a really great proof of candlestick patterns working as a predictive tool. The Predictive Power of Price Patterns was written by G. Caginal and H. Laurent from the Mathematics Department of the University of Pittsburgh. It was first published in the 5th issue of Applied Mathematical Finance journal in 1998 and is now available as a downloadble e-book. The introduction of the article begins with the description of the state of affairs in the scientific perception of technical analysis of the markets as they were in 1996. Then, the authors describe their hypothesis (that the usage of price patterns can give traders an advantage over competing traders) and how it can serve as the evidence against the Efficient-market hypothesis. The main part of the article then describes the Japanese candlestick patterns that have been used in the study. They are not some complex or exotic ones — just three white soldiers, three inside up, three outside up, morning star, and their respective bearish counterparts. The patterns are simplified a lot to avoid parametrization. Since all those patterns are known as the trend reversal patterns, they had to account for an uptrend or downtrend condition — they used a simple 3-day moving average, which has to be rising or falling during at least 5 of the 6 days preceding to the pattern’s appearance. The test is conducted on a large number of world’s equities and also on all the S&P500 constituents (as of 1996). The results of pattern-based trading is compared to trading based purely on the above-mentioned moving average. 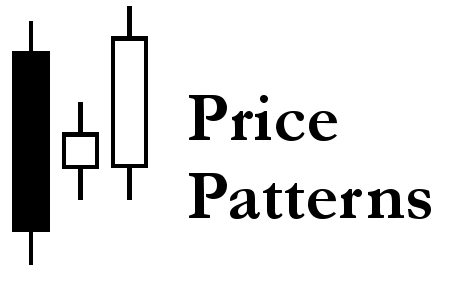 In all the examined cases, utilization of candlestick patterns has lead to a significant increase in probability of picking the right trend direction. Additionally, all eight patterns have proved to be profitable for trading during the studied period (1992–1996) even after the authors deducted commission and bid/ask spread expenses. The definition of patterns is based on Open and Close levels, which have little meaning in the 24-hour market of currency pairs. The patterns’ structure assume that the Open level can be significantly different from the Close level, which occurs only on weekly timeframe in Forex. The huge number of stocks used for trading make it impossible to transfer the same strategy to currencies because you have to exclude the assets with significant correlation. To the best of our knowledge this is the first time a scientific test has shown statistical validity of any price pattern. This research paper can be used by the FX traders as a great starting point in a scientific approach to trading and developing their own price pattern strategies followed by the objective testing. If you have any questions, comments or opinions regarding The Predictive Power of Price Patterns by G. Caginal and H. Laurent, please feel free to post them using the commentary form below.